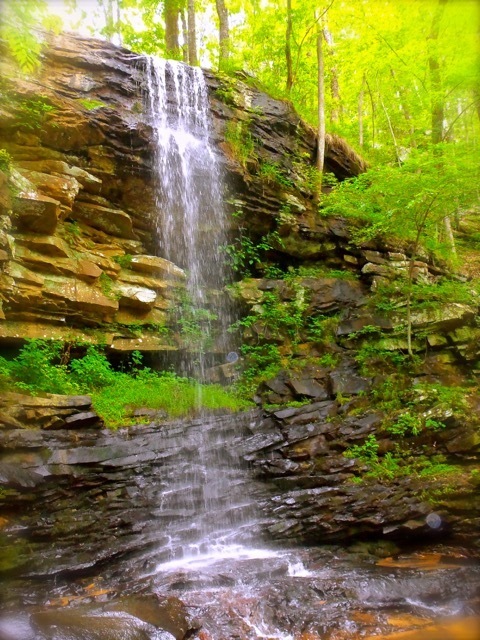 Bluff Creek Falls is a private, membership-required, men only, a clothing-optional campground located on Chandler Mountain in Steele, AL. must be ​21 . Inside our gated community you will enjoy an environment where you can totally relax and be yourself. It's where men can be men and socialize or party. Enjoy lounging in the sun or in/by the pool (In season) or relaxing in the 4-man cedar hot tub while surrounded by nature on the acres of lawn and woods. A network of trails are marked and available for exploring the canyons and streams. National Geographic called the area that is now Bluff Creek Falls, "a must-see area of Alabama." Socialize, eat and gain access to the Internet in the clubhouse/pole barn. Every Friday night there is a social hour/meet and greet at the bonfire. 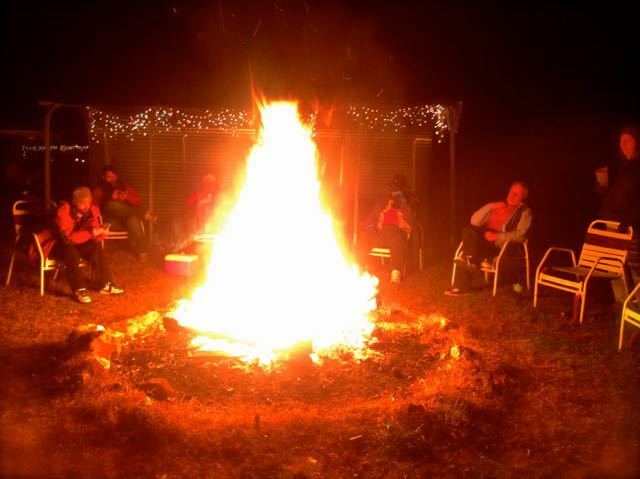 Every Saturday evening you can participate in the famous Potluck Supper followed by a bonfire. All Men Welcome - Also Pet-Friendly! Day passes are available or you can make reservations to stay overnight. Reserve two nights in any accommodation at BCF and get the third night free! (Certain holidays excluded.) 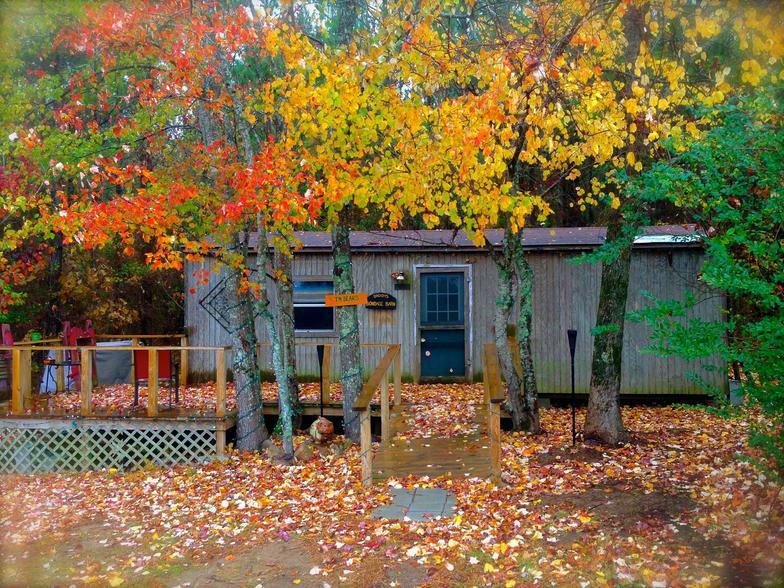 Available accommodations at BCF include cabins a bunkhouse, RV's and tenting areas. Pull-through RV lots are also available. All men are welcome! 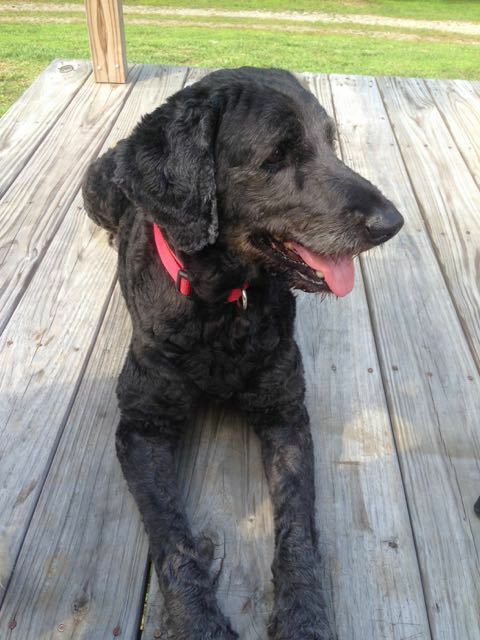 We are pet-friendly, so bring Fido along to enjoy your stay at BCF. We look forward to welcoming you to BCF! Relax, make new friends and enjoy the company of men who love nature in a rustic mountain environment. 7 days a week, 9am - 9pm CST.